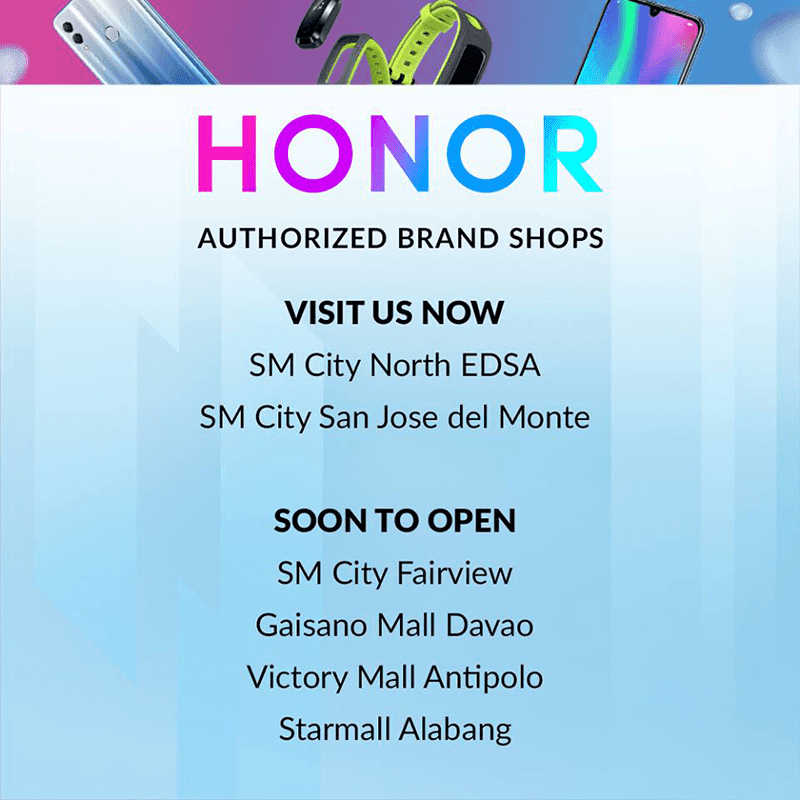 Aside from their current online and offline stores, Honor just announced that they are set to open 16 more official physical shops in the Philippines. 16 more official physical stores in the Philippines soon! Four (4) of them are Authorized Brand Shops and twelve (12) of them are Authorized Kiosks. The soon to open Authorized Brand Shops are found at: SM City Fairview, Gaisano Mall Davao, Victory Mall Antipolo, and Starmall Alabang. The Authorized Kiosks that will open soon will be at: Robinsons Place Manila, SM City Batangas, SM City Calamba, SM City Clark, SM City Manila, SM City Masinag, SM City Legazpi, SM City Rosario, SM Mall of Asia, SM MegaCenter Cabanatuan, SM Megamall, and Vista Mall Bataan. 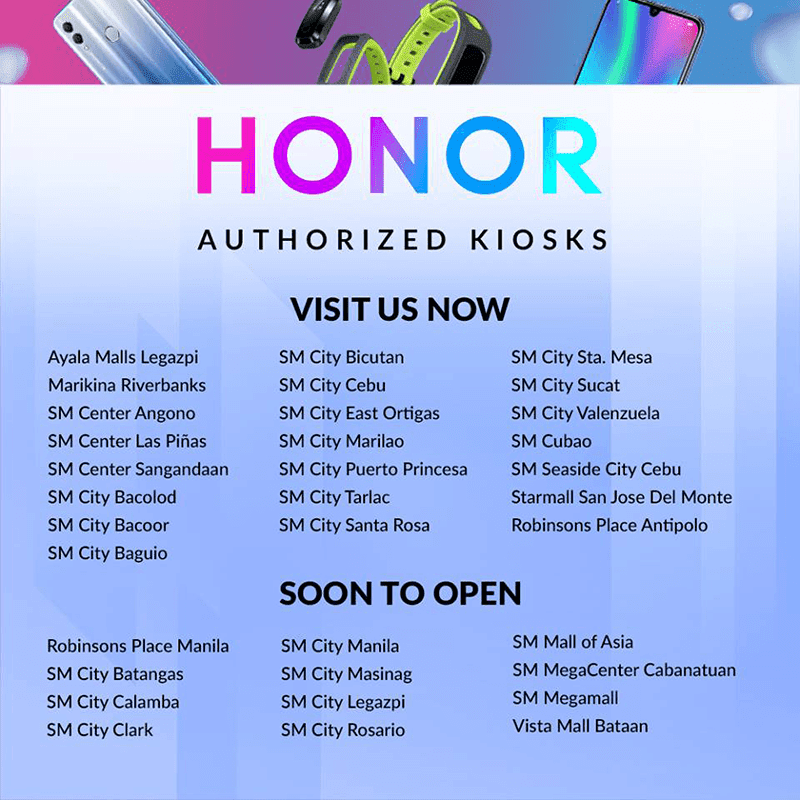 Currently, Honor has two (2) Authorized Brand Shops and twenty two (22) Authorized Kiosks nationwide. Of course, Honor phones are also available at Shopee, Argomall, and Lazada online. To recall, Honor is one of the biggest phone makers in the world today. The first phone of the company in the country this year is the Honor 10 Lite.